Every person feels lonely from time to time. Sometimes we think that there is no one who cares about us and very often we feel like we can’t ask anyone for help. But it is just temporary, because sooner or later you will realize that there are so many people with you. 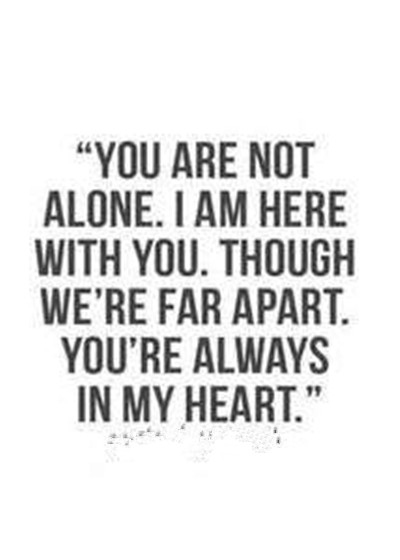 These you are not alone quotes are reminding you that somebody cares about you and you are not alone. Being next to someone is enough. You are never alone because there are people who think and feel the same way as you do. When you’re feeling down, think about more positive and beautiful things to come out from the loneliness. A book or a song can be your company. It gives us strength and hope. We’re never alone because we carry other people in our hearts. Loneliness is often hidden behind the smiling mask. There are many simple things that can make you feel better. If you can enjoy your own company – you’re not alone. Some people believe that faith helps us fight loneliness. Literature makes you feel connected to someone. You are not alone because someone is hearing you. Be strong and don’t doubt yourself. You’re never alone because you’ve got yourself. Your accompany is inside you. With friends, you will not feel lonely. You can always use this opportunity to find out more about yourself. 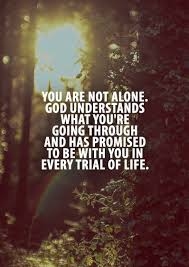 God will always be there with you. This simple truth can help you carry on. Loneliness is just a mean to make you stronger. If you feel lonely – read a lot. You are not alone quotes want to tell you that: There are always some people who care about you in their own ways.